Looking for premium freshly brewed bird’s nest? You’ve come to the right place! Royal Bird’s Nest brings you the highest quality bird’s nest from our factory located at Indonesia, freshly brewed in Singapore and same day delivery right to your doorstep. At Royal Bird’s Nest, we will never compromise in our quality or quantity of our bird’s nest. 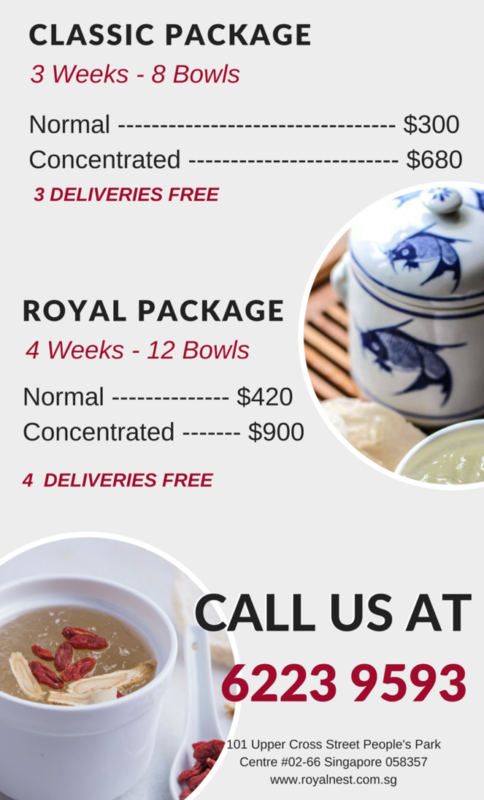 Don’t wait any longer, order your bird’s nest home delivery package with us today.